Cosmetic Surgery Bulletin Boards: Can you believe everything you read? One of the true joys of being alive in this day and age is the Internet. For those of us that are older than 20 years of age it is hard to imagine life without it. The Internet has empowered us and made encyclopedias and dictionaries obsolete. It seems that you can find out anything with just a few clicks. To Google has become a common verb! Information is definitely power, but if that is true, misinformation is then weakness. The decision to have cosmetic facial surgery and the ramifications that go along with it can be tasks of awesome proportion. There are many surgeons to choose from, many procedures to have done, there are also considerations of patient health, recovery and budget. When you think of all of this at one time (as most patients do when walking blindly into a consult) it is a miracle that a decision can be made. So much information, so little time! Bulletin Boards have become common and popular forums for humans to share information….or misinformation. I have picked up some great tips on various bulletin boards like how to repair my 1965 Jaguar, how to tune my boat engine, what fishing lures to use on the James River, the best abdominal exercises, etc, etc. Sometimes I have to wade through some incorrect or opinionated data and it can vary from confusing to dangerous. With the Internet you have to take the good with the bad. Cosmetic surgery bulletin boards are numerous, frequently factual, sometimes entertaining and frequently misleading. On a positive note, these bulletin boards allow patients to discuss and compare data and experiences on various procedures, products and surgeons. I have seen a lot of very good comments, ideas and advice on these bulletin boards, but I have also seen downright false, mean spirited, confusing and doubtful information as well. Cosmetic facial surgery is not only my job, but it is my passion, so I am basically consumed with it during my waking hours. It is my profession and my hobby. At work, I see patients and operate, at home I work on my website and blog and for leisure I read cosmetic journals and text books. For fun, I write journal articles and textbook chapters. My wife thinks I am crazy, but she understands a man driven. It was my honor to find out that I came highly recommended on several of these bulletin boards. It is downright flattering to have your passion reflected by nice comments and appreciation of your work. Sooner or later, however, I (like many compassionate surgeons) may be maligned by an unhappy patient with an ax to grind. No one likes to hear negative comments about themselves, if they are serious about what they do for a living. I have one friend who is truly a world class surgeon and is very good at what he does. He had an unhappy patient (as all doctors will from time to time) that made it their hobby to assassinate this surgeon on virtually every forum that would accept a post. Due to this, this surgeon has been very discredited for what was not really his fault. To his defense, he did not deserve it. There may be others that do. Some doctors are complacent and are not patient oriented. They may have consistent poor outcomes and unhappy patients. A person like this may warrant the bad publicity, but we should all stop and take a deep breath before we discredit someone. We have all gone to a great restaurant and had a bad meal, or gone to a famous vacation destination and had poor service, etc. The same can happen with cosmetic surgery. Because one patient had a bad experience or outcome may not mean that all patients would have the same. A complication may be the surgeon’s fault (we are human too) or it may have been the patient’s fault. Some patients refuse to follow pre or post op instructions, others use medications they are warned not to. Some patients smoke and lie about it and some patients just had bad luck. I have been very fortunate that I have been able to have positive dialogue with 99.9% of my patients from the time I meet them. I always try to personally answer emails on a timely basis, I give all my patients my cell phone number and I am surrounded by a great compassionate and caring staff. It is not that we never have problems because if you have a very successful and busy practice, you will have problems from time to time. The most critical thing is how they are handled. Sometimes it is merely the fact that the patient does not understand, or they are anxious and communication, hand holding and compassion go a long way. Sometimes, they feel that the surgeon is not responsive or has done something wrong. Sometime it as simple as the surgeon saying “I am sorry”. Sometimes the patient is totally unreasonable and sometimes the doctor may be unreasonable. Fortunately, most successful surgeons have good people skills and are able to smooth out the things that happen. Sometimes a good surgeon gets a bad patient and vice versa. Successful surgeons become good at “picking” the right patients. Over the years, the surgeon and staff develop a sixth sense about patients that may be problematic. These include patients that are know it alls, patients that don’t listen, patients that talk bad about previous surgeons and patients that are not dependable. Many patients also have a sixth sense about surgeons, offices and staffs and can tell a genuine proficient and caring surgeon from someone who is faking it. Having said all of this, usually the patients choose the correct surgeons and the surgeons choose the correct patients. Everything works out well. When it does not, it takes responsible communication from both sides to try to make things better. The problem with some bulletin board postings is that they only tell one side of the story. If I said that one specific hospital had a high mortality rate, it may cause many people to speak badly about it. If I said in the next sentence that it was a hospital that only treats terminal cancer patients, you hear the other side of the story. Some patients will never be happy no matter whom they see because they are not happy with themselves. Cosmetic surgery requires a stable, rational and psychologically secure patient for the best outcomes. Some patients have psychological and or image problems and have no business having cosmetic surgery. The surgeon that operated on them has made a mistake before the first scalpel cut. Don’t get me wrong, there are surgeons with these issues as well, most of them aren’t busy or popular. The more good work you do, the more good press you get. Unfortunately, it only takes one bad apple to spoil the whole bunch and we all should keep that in mind when things get sticky. Doctors should not talk bad about other doctors or patients, that is a matter of ethics (by the way, doctors that talk bad about other doctors probably talk bad about their patients and that should be a warning sign). Patients should not go out of their way to demonize a well meaning surgeon who may have been a victim of circumstance. There are no official ethics here, just the Golden Rule…”Do unto others”. Just great words for which to live ones life. I see many patients each day and those whom have visited my website (or other sites and bulletin boards) usually have an advantage of education about what we do and how we do it. Occasionally, I see a patient that has been brainwashed with misinformation to the point that they feel they know more about the technique than I do. Obviously that would be a poor choice to operate on that patient. A know it all or a patient that tells a surgeon how to do a procedure is a gamble and a set up for problems. 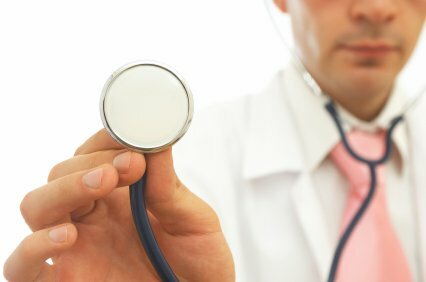 It is fine to ask about a given technique or discuss options, but it should be the surgeon that directs the care. I may present the patient with 4-5 options (filler vs laser vs facelift, etc) and by providing them information such as before and after pictures, patient references, brochures, etc. they can make and informed decision. I have heard many patients discuss things that they saw on a bulletin board and were not true, or at least not true the way I practice. Discussion should be two way. The patient and surgeon should both talk and listen. A bullheaded patient (or doctor) is hard to deal with. The beauty of it all is that no one “has to have” cosmetic surgery, it is totally elective. If they don’t have a good feeling about a surgeon, they should find another one. Same for the doctor. If a certain patient has personality traits that do not blend in with the way you practice, then they should not operate on that patient. One thing every patient and surgeon should evaluate between each other is “how will he or she act if there is a problem”. That goes for surgeons and patients.